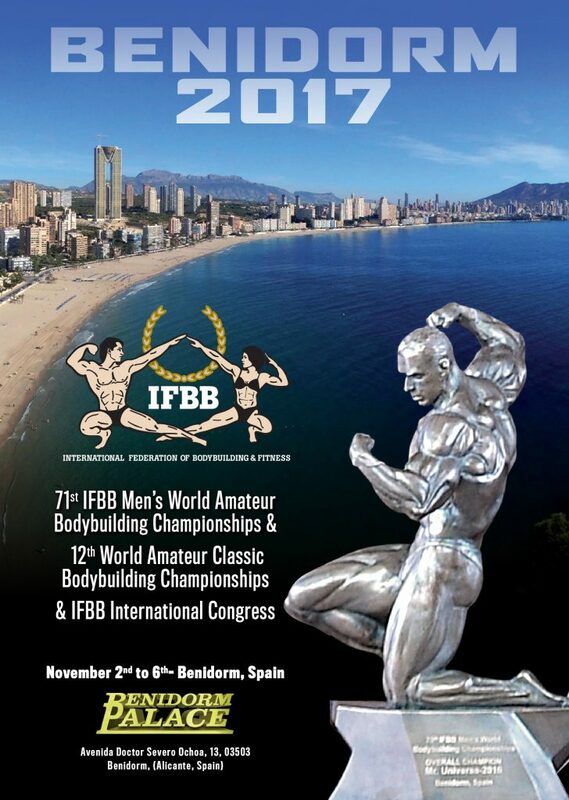 IFBB will celebrate this week, November 3rd to 7th; the 70th edition of its World Bodybuilding Championships in the beautiful village of Benidorm (Alicante, Spain). Athletes and officials from a majority of the IFBB-affiliated National Federations are ready to travel to Spain, in order to participate in the championships and in the 70th IFBB Annual Congress that will be held in Benidorm where, during this days, will celebrate their local festivities. The competition will take place in Benidorm Palace.